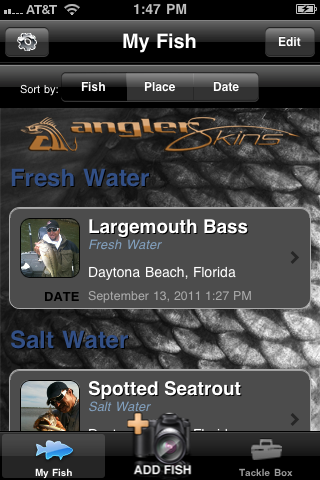 The Angler Skins fishing app for iPhone is a sleek, user-friendly way to track and record all of your fish catches. 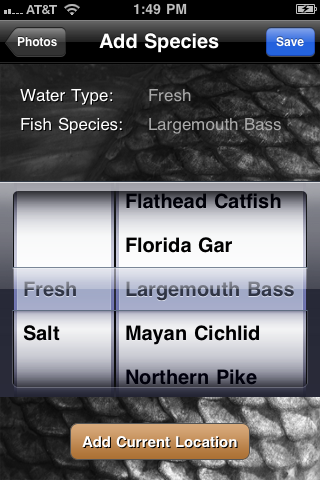 Easy-to-use interface design focuses on logging your catch quickly so you can get back to fishing. Take, resize and crop photos of your fish. Identify your fish species efficiently from a picker, or type your own identifiers. View all of your catches in an aesthetically pleasing table view, and sort your fish by water type, location, or date to make finding your catches a snap. 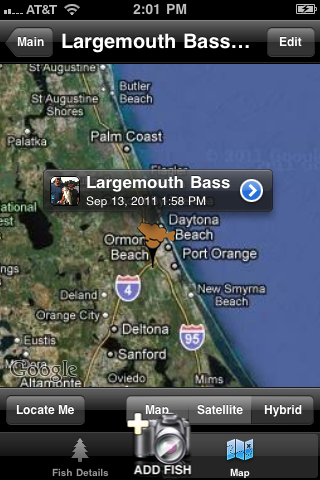 Additionally, you can add location information to each catch and view and track all of your catches. 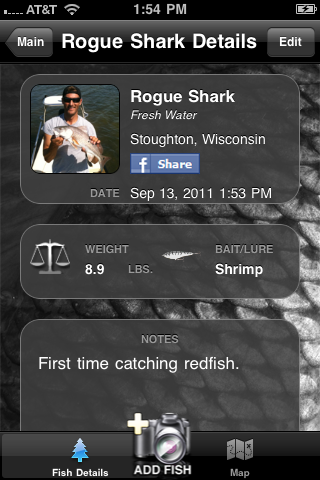 Specific fish details can be added to your catch, like: weight, lure or bait used, and notes about your catch. You can also optionally share your pictures and catches with friends on Facebook. 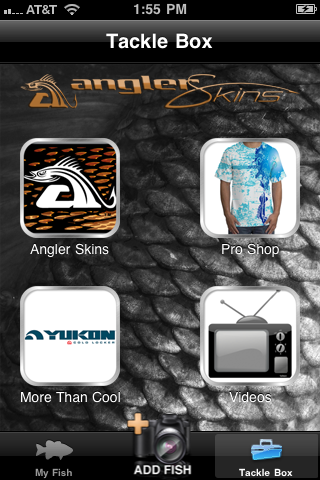 Angler Skins - "It's Your Skin, Wear It"
Other Apps by Jordan Valley Graphics, Inc.